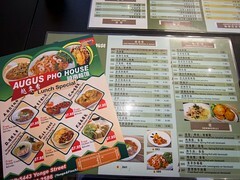 Of all the restaurants on Spring Garden Ave, Pho Spring Garden has the most eclectic selection. Their sign advertises Korean and Thai cuisine but I usually get Pho, the menu has no thai curries, there is aa decent selection of Korean entrees but no rice cake dishes. The Fiance and I stopped by on Sunday to grab a quick lunch before watching the new Captain America movie. We both ordered bowls of pho, a small bowl for me and medium one for him, and a Korean seafood pancake. There was only one server working the entire floor and he was busy. Half of the tables in the restaurant were filled and between greeting customers, taking orders, serving dishes, getting bills and clearing tables, I was impressed with how efficient and friendly he was. 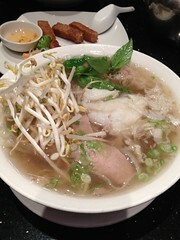 Our pho arrived hot, quickly after the order was placed. One thing I do like is that their small size is reasonable, a good portion and well priced at $5. I did miss chopped cilantro, which was not included. 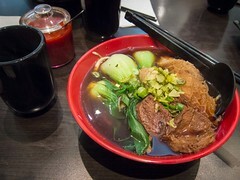 The meat portion was standard, the broth was tasty but a little weak in richness and the noodles were good. Every time our server walked by with a plate I looked for our pancake, which I had expected as an appetizer. The plate didn’t arrive until we had reached the bottom of our pho bowls. 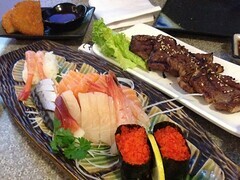 Our server apologized for the delay and explained the dish takes longer to prepare. I do wish they had tried to time that better, it was pretty clear they hadn’t. By this point our bowls were cleared and we weren’t given any other small plates to eat over. 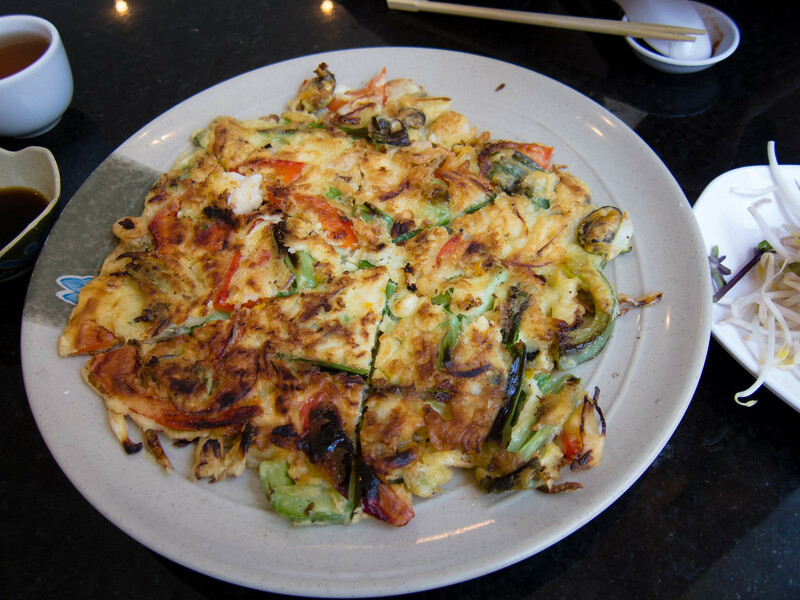 The pancake itself was great, crispy and full of seafood, peppers and green onion. 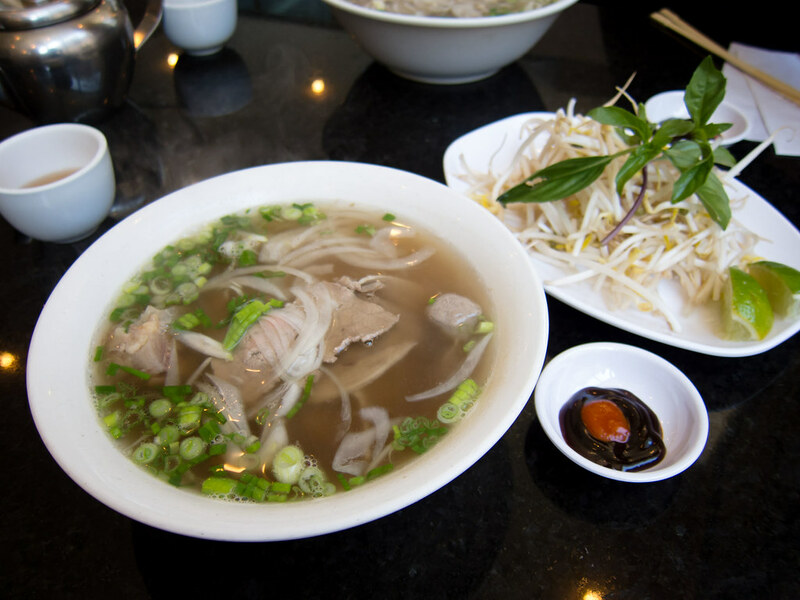 Generally, if you’re in the neighbourhood craving pho, it’s a solid option. 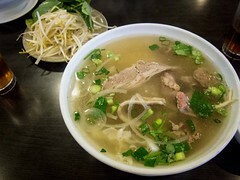 If you’re trying to decide between pho or Korean, Pho Spring Garden can satisfy both cravings.